There can be several recommendations for people suffering from pain.One of the most effective ways to counter pain is electro therapy. This therapy uses tiny electric stimuli to treat acute and chronic pain. Treating pain with electricity is not a recent phenomenon. Electric treatment has been around for more than one hundred years. The nature of this treatment is safe and non-invasive that makes it stand out as the most effective therapy to treat pain.Electro therapy can either be used as a standalone treatment or together with other therapies like a pain relief massage or painkillers. However, people are seen reducing the consumption of other drugs once they get started with these sessions. The following are a few electro stimulation devices that people use to treat pain. 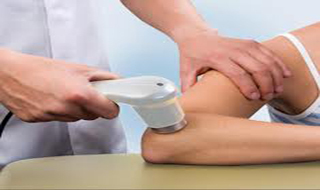 Ultrasound therapy is a common treatment in the medical industry for patients that suffer from chronic aches and pains. It is also used for sports injuries and can be used as a therapeutic treatment for people who suffer from rheumatoid arthritis. While pain relievers can offer a temporary solution, they should not be used long term for the treatment of any kind of pain. With the use of an ultrasound therapy machine, you can live a pain free life without the need for any type of medication. Where drugs can leave you suffering with a myriad of side effects, ultrasound home machines do not. Drugs are a temporary solution. They do not work to heal the source of the pain; they simply dull the nerves so that you do not feel the pain at its full intensity. Ultrasound home machines, on the other hand, help to promote healing at the source of the pain. The end result is that after each session of ultrasound therapy, you will begin to feel relief - a little bit more each time - depending upon the severity of your injury and its resulting pain. One of the greatest benefits of an ultrasound machine that is designed for home use is that you do not have to waste any time traveling to and from doctor appointments in order to receive treatment. You can do it yourself, or if the pain is in an unreachable area, you can have friends or family members help you administer the treatment. How Does an Ultrasound Therapy Machine Help? Ultrasound therapy machines use the power of sound waves to create stimulation in the muscle tissue at the site of your pain. These sound waves increase blood flow while at the same time promoting healing of the tissues. This then results in inflammation slowly decreasing. Over time the area will become less sensitive to pain with the aid of ultrasound therapy.These are far more effective in helping your injuries to heal than taking pain relievers or other drugs like muscle relaxants. For pain management, it has been recommended that people try the transcutaneous electrical nerve, muscle stimulator or Tens Machine for short. The device is basically a transistor that conducts short electrical pulses down a number of electrodes that are attached to pads. The pads are stuck to the skin in or around the area that requires attention and it is turned on to start the therapy. The pads transfer the electrical impulses into and through the skin, down into the sub-cutaneous layer where the nerves and muscle fibers can be found. Your nerves function using electrical impulses that are similar to the ones they are receiving from the Tens machine and therefore respond to them naturally. Depending on the frequency of the impulses you can either stimulate the body's natural pain blockers, called dopamine's and endorphins or you can block the pain signals from that area altogether. A low frequency will create the impression of pain coming from that area, even though you don't actually feel any, allowing your body to respond to the stimulus with the pain blocking hormones. The higher frequency work a little different to that, as it overloads the sensory neurons, but stimulating them more than the actual pain itself. The result is that you no longer feel the pain from that area, other than what you are getting from the tens machine itself. These devices have been proven to be so effective that they even get used as a safe and natural alternative to the regular pain killer options used during pregnancy. Physical rehabilitation to cure a problem has various divisions. One of them is Interferential therapy.This treatment is used to treat muscle spasms and joint pains these days. They can quickly relax of stimulating a part of your body as they are needed and hence inferential remedy is getting more and more popular each day. Besides the beneficial effects that normal physiotherapy has, Interferential therapy in physiotherapy has a lot of beneficial effects than just physiotherapy alone. Some of them include increased localized blood flow. Also, based on the method how the electrical pulses are applied, it can stimulate the local nerve cells or have an analgesic effect. It also blocks pain in a lot of cases by stimulating the secretion of the pain releasing endorphins. 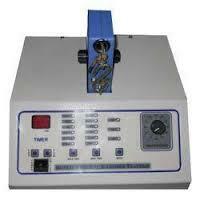 This current cure crosses currents at two frequencies and delivers the current on a single frequency to the body. The current overcomes the skin resistance that they can be tolerated by the skin. Hence it is completely safe. With the increase of the dosage, the current can penetrate the skin more. This is the principle on which the device works. The neuromuscular electronic muscle stimulator or NEMS is the latest equipment that makes use of the most effective electrical muscles and nerve stimulation. Herein, the low electrical energy produces a tingling feeling and the low muscle stimulation. This feeling is aroused by electrodes which work directly on the affected area. 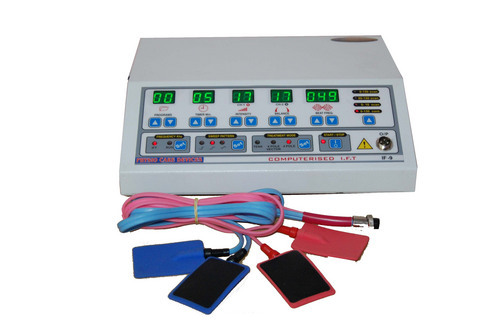 Recently, several benefits of electronic muscle stimulator have been recorded. People often use these to tone muscles, blood flow, improve muscle movement, and as mentioned to vastly reduce the tearing of the muscles. 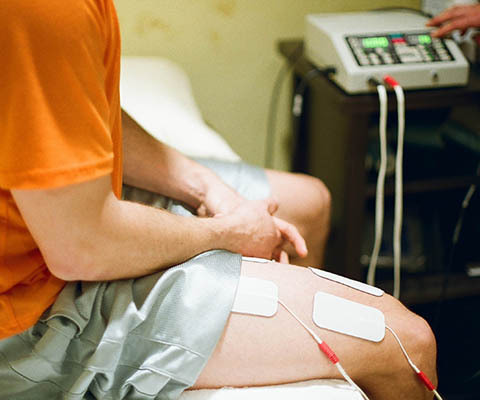 These electronic muscle building is also used to lighten up muscles, retrain nerves, and in pain control. These are also helpful in paralysis and stroke to anyone who needs to improve their range of motion, boost their blood circulation, or even boost muscle endurance. Additionally, these devices may be used to re-educate nerves, relax muscles, and also in the pain management. As far as the safety of EMS devices, they're safe and used as directed. The medical science has used them for many years for many of the facts. This non-invasive technique uses electromagnetic energy to promote healing within the affected area. Physiotherapists use SWD to treat a variety of conditions including swelling, osteoarthritis, muscle, tendon, and ligament injuries. Spinal decompression or traction basically implies the same thing. Traction is the power connected and spinal decompression is the consequence of that compel. It has been utilized as a part of some structure for quite a long time. There are canvases and statues from old developments demonstrating recuperating specialists utilizing their hands to apply footing and individuals in agony. Traction can be performed either by hand or utilizing a mechanical traction unit. Shockingly, numerous individuals truly relate footing with a torment gadget. It ought not be mistaken for that as clearly traction has a positive reason to help and not hurt. Traction either by hand or by a mechanical unit has been utilized regularly by physiotherapists since the 1940's. 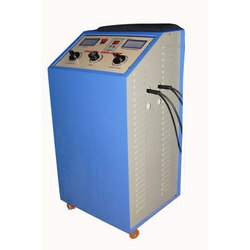 Cryotherapy, or cold therapy, is the use of cold in therapy. The theoretical therapeutic effects of cold include local analgesia, constriction of blood vessels to help decrease edema, and decrease muscle spasms. Recent studies have shown that there is a lack of evidence that cryotherapy improves clinical outcome in the management of soft tissue injuries. New evidence suggests that ice actually slows down the natural healing ability of the body and that ice reverses the flow of lymphatic fluid causing swelling to linger for longer. This is the reverse of the expectations of cryotherapy.